This major emphasizes the development of students' skills for a career in graphic design. Theory and application through hands-on learning provide students with the background to develop a viable portfolio and the knowledge to secure and maintain a creative position in the applied arts. Students develop the necessary sensibilities for creative design through a series of required courses and electives in the visual arts, including courses ranging from drawing to photography and bookmaking to computer graphics and Internet-based design. A proper balance of technically oriented courses, visual arts courses, and liberal arts courses prepares students for diverse and creative positions in the graphic design field. The broad range of learning experiences in this major enriches and expands individual inventiveness and problem-solving skills. According to the Bureau of Labor Statistics, the median annual wage for graphic designers was $50,370 in May 2018. The top 10 percent earned more than $85,760. 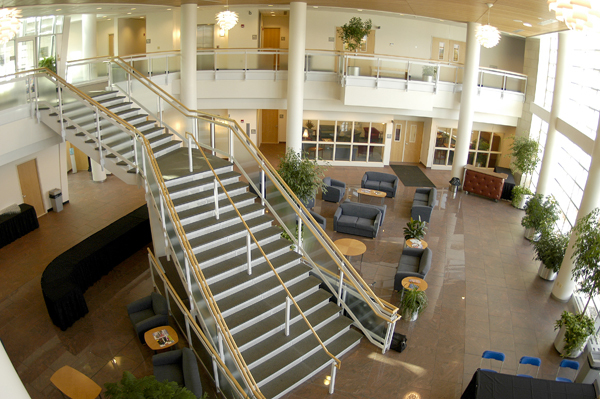 Penn College has state-of-the-art facilities with an abundance of current computer technology for training in design and production. Along with computer skills we feel it is important to continue to educate students to use their hands in disciplines such as design, drawing, painting, and photography. This process provides a tactual and perceptive approach to visual problem solving. Using traditional media provides direct and physical engagement; the process requires a necessary interval for the development of concept, image, techniques, and evaluation. Students become involved in a process that nurtures creativity and stimulates conceptual performance. The freshman, foundation year focuses on developing students’ visual thinking and hand skills. In subsequent years, students concentrate on applied art courses directed toward design and production in many media. The art faculty encourage students in the objective pursuit of excellence. Individualized critiques provide structure for the creative process and are essential to the ultimate quality of the artwork. Students are encouraged to attend exhibitions and artists’ talks as part of their education. The Department and College promote exhibitions at the resident gallery.